So, I had a nail emergency - I suddenly got called for an interview and couldn't get down to a Superdrug to get my favourite nails (see previous blog). 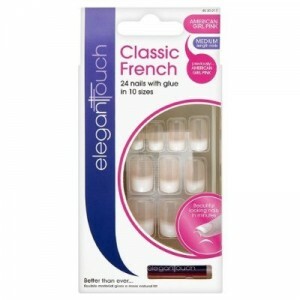 I decided to do a next day delivery online, and purchased Elegant Touch Classic French nails, in medium (American Girl Pink). They were around £6.50. A few things to mention - the first being these are NOT pink. I am struggling to understand their reasons for calling these nails American Girl Pink, as the main nail colour is actually a very natural looking peach. 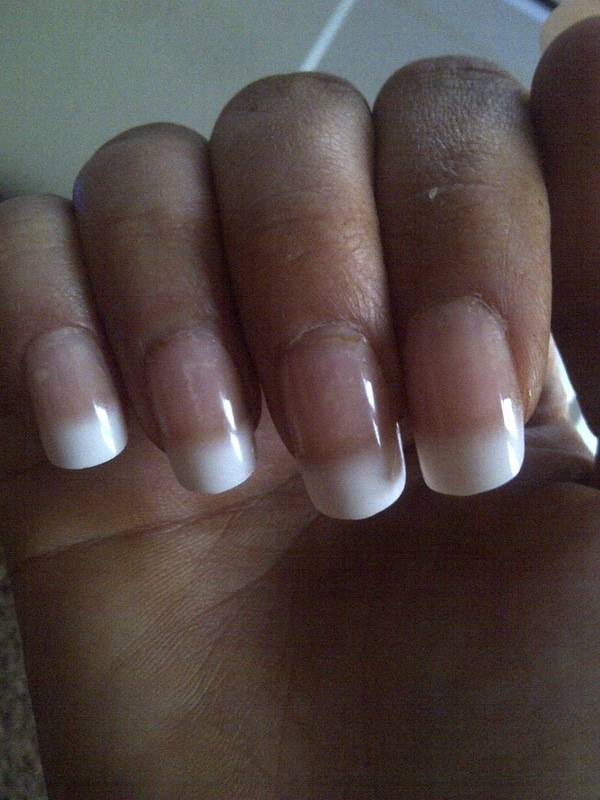 The second thing is that these nails are actually fairly long, although they are classed as a medium length nail. They're not super long, so if that's what you like then continue to buy ones that are marketed long. However, I feel they are a tad longer than usual medium ones. As I just mentioned, they are actually fairly natural looking. A friend commented to me that if she didn't know they were false she never would have guessed. Again as I just mentioned, they are a pretty good length, which was a plus point for me. However, that is all relative and you may not WANT them to be longer. I don't expect nails to be popping off after 24 hours, especially not when I am fastidious with my application. The Superdrug's own lasted well over a week, Elegant Touch is supposed to be a "better" brand. Hmmm. Also, the edges of some of the nails were really jaggy! I think you can kind of see in one of the pics. So I actually kept hurting myself with them....not good. They are VERY thin. This means that they don't actually feel very sturdy, and I think that put me off straight away. 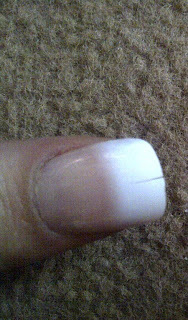 It also means they are quite transparent, so you could see the natural nail underneath, AND any glue marks etc. Sorry for the crap picture. It cracked! Quite considerably! 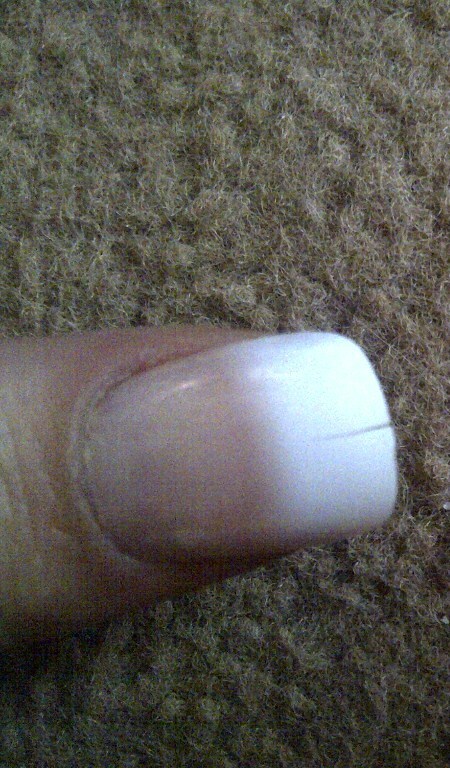 Now I never do anything particularly strenous so I cannot imagine how my nail had actually split.....very disappointing! I did the same as I do with all my false nails - buff the nail surface (there is a buffer provided with these nails but I found it to be a bit pants to be honest, and used my own grit file for a bit more clout) and apply nail glue to the entire surface of the NATURAL nail. Once I applied the nails I found they slipped a tad in the first few seconds, so be careful not to knock the position. The glue seemed ok, although with a nail popping off within 24 hours I'm not so sure. The glue itself has a handy screw top, which is quite helpful. The blurb recommends holding each nail on for 5 seconds - I do it for 30 each nail. I do not find 5 seconds enough. All in all, I have to say I don't think I will be buying these again. I will remain loyal to my Finishing Touches nails and make sure I have plenty in stock in future! Oh lord, one another of my never ending quests for finding the perfect beauty products, mascara has to be a major bugbear of mine. It is a beauty staple yet finding one perfect for you can be a hard task. 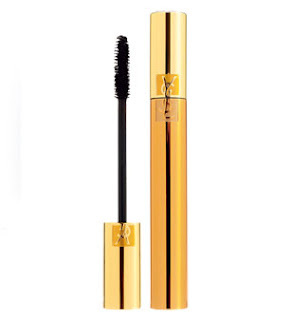 Step forward,YSL Volume Effet Faux Cils (false lash effect). In my opinion, this is the holy grail of mascara's. If you are looking for a mascara that makes you look like you actually have false eyelashes on, then look no further. This mascara is nicely thick (I find the thinner ones do nothing for me), but not TOO thick (ie clumpy). The major benefit of this is the length it gives you. It truly does give you the longest lashes ever! It doesn't smudge, you only need one or two coats (depending exactly how dramatic you want to be), and yes it is expensive (around £23) but once you try it you won't mind paying that price believe me. This is a no-brainer for me - a fantastic primer for £4?? Yes please! 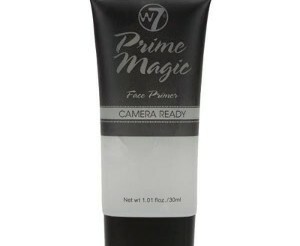 The primer in question is W7 Camera Ready Face Primer. This stuff is great. It creates a lovely silky smooth base for your foundation, and you can apply make up immediately as opposed to having a wait a few minutes with some other budget primers. This is heavy duty stuff - any make up you put on over the top of this WILL NOT BUDGE. Great matte base, does everything it says on the tin. One point I would mention is that you have to make sure you exfoliate regularly - if you have been a bit lax with sloughing the dead skin off, it WILL show up once you apply this product. To get the best out of it, make sure you exfoliate a few times a week to create a nice smooth canvas for this primer and indeed any other make up. Ahhhh, this has to be one of my favourite beauty products of all time. For many a year I used Rimmel Sun Shimmer, which is still not a bad little bronzer at all. Then I heard about this one, the great reviews it got, and I was intrigued. This is a very natural bronzer. By that I mean it doesn't look too orange or obvious, but it does give you a lovely colour. The great thing about it is you can build it up to the desired effect, without it looking muddy and/or patchy. First of all, I don't use the little brush provided. It's a nice idea, but in my opinion bronzer should be applied with a large round soft brush. I do however use the little brush to apply my blusher sometimes, so it does go to some use! It is quite matte which I LOVE. I don't like the shimmery look of a lot of bronzers; for a night out, maybe. But for daytime wear it has to be matte. This is my go-to bronzer and I can't honestly imagine ever using anything else. The price - yes, it is expensive. I find Benefit to be a good brand overall so I repeat what I have previously said - you get what you pay for. It does cost quite a bit but in my opinion it is worth it. I tend to buy it from ebay (from a reputable seller, there are a LOT of fakes of this on there) and usually pay about £15, compared to the full price of around £23. Be savvy girls. There are sellers on there peddling these for £4, they are NOT going to be genuine (no matter how many times they say it is). It's just common sense, don't sell yourselves short with fake crap containing god knows what. I quite literally cannot live without this product. After years of hunting for a concealer that didn't leave me looking like I had impetigo, I found this! I always have a medium tan, which is why I have found it near impossible to find a suitable blemish concealer. they all seem to be far too light, even the "darkest" shades tend to look bright white on me. Then I discovered this. The shade I used is 05, Honey. Although this is technically not a "dark" shade, it seems to blend beautifully and with a touch of bronzer over the top, is the perfect shade. 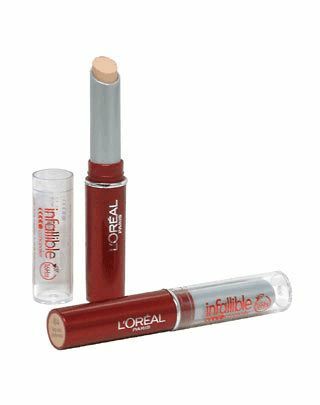 It has a lovely creamy consistency, and for quite a while I used it as an undereye concealer as well. However, it is a thicker concealer than is supposed to be used for undereye and I worried I may be dragging the skin and causing wrinkles. I now use it for blemishes only. It lasts. That is the best thing about it. It doesn't rub off or melt, it stays put. I'm not sure if it lasts for 16 horus and stated on the product but it certainly has more staying power than any other I've tried. It costs about a fiver which I don't feel is bad at all. Undereye concealers -this is one of the beauty products that I have extensively researched over the years. I have been on a never ending quest to find THE best undereye concealer, and thought I had found it when I discovered the cult YSL Touche Eclat. However some years ago, YSL decided to change the ingredients in this and I suddenly started having horrific reactions to it. I found out shortly after that I was not alone - many many girls had also developed an allergic reaction to the "new" Touche Eclat. So that was that. 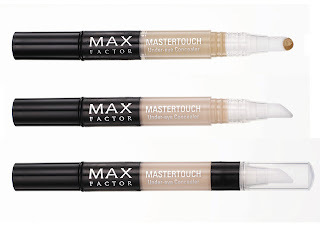 The best I have found on my search over the years has been this - Max Factor Mastertouch. There are a few different shades which is good, with Touche Eclat in this country you can generally only get ONE shade. Which can be far too light for some people. This is a lovely consistency, I'd say "silky" is the perfect word to describe it. It goes on like a dream, and covers dark circles well without turning powdery or gathering in creases. It tends to last fairly well, you will need to touch up during the day but I don't think there is a concealer that would not require this. The price ranges from about £5-8 depending on the retailer, when comparing to the £20-odd of Touche Eclat I am almost pleased I did develop that reaction! I would always welcome further suggestions with regards to a BETTER undereye concealer however. I want to start by pointing out that I have actually got long, strong nails naturally so I don't actually need false nails. However, I always think they just look NICER than natural nails, neater and more linear. Right, my can't-live-without-nails are called Finishing Touches (french manicure) and they are exclusively at Superdrug. I have tried and failed to find a picture online for you to see, bizarrely they appear to be invisible on the internet as I can't even find any to BUY online! I get mine in store, which is clearly the only way to do it (annoyingly). 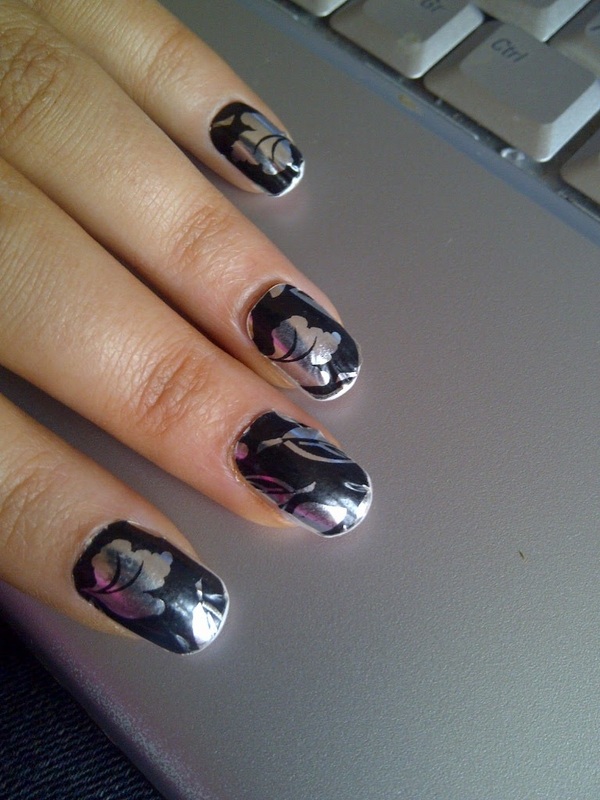 This is a picture of my nails as they are now, but the pattern is a nail wrap I bought. I just wanted to show you the length of the nails, this is the length I prefer. The short look feels pointless to me. These nails last a hell of a long time in my opinion. I put these on a week and 4 days ago and not one of them has popped off. They also fit really well, they seem to slot right onto my nails and there are a LOT of size options provided so there is something for everyone. They also have a handly little applicator which you use to hold the nail and place on. Before application I trim my nails as low as they can go, remove any polish, and buff the surface of the nail lightly with a grit file. This is one of the important steps to ensure the nails stay on. Then I apply the glue DIRECTLY to the natural nail (not the false nail), press the nail down and hold for about 30 seconds. Repeat for all nails. I know you can't see what the nails actually look like under the wraps (sorry) but in the absence of finding any images online, I will just have to wait until I buy my next lot. 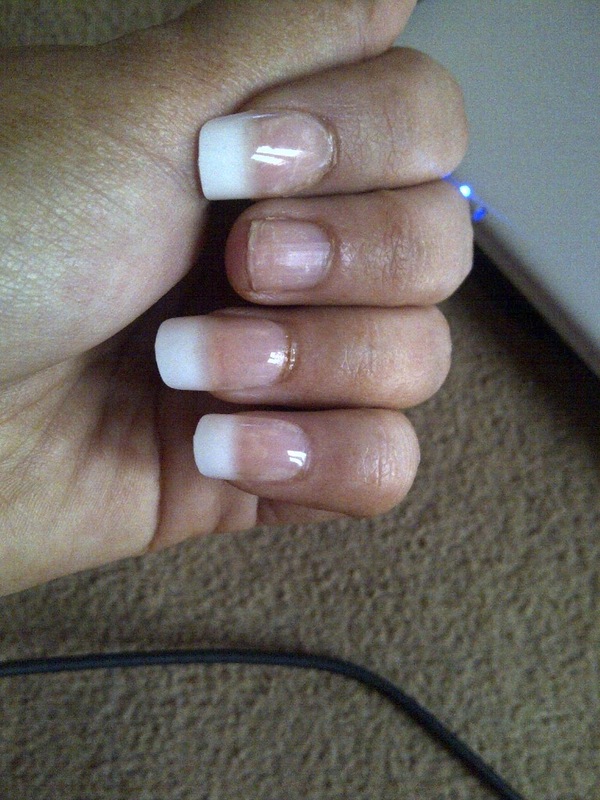 These nails cost around £6-7 which to me isn't too bad. Can anyone recommend any other good nail brands?